After last month’s family reunion party, we now bring some fresh players to kick off the summer of 2010 (football pun 100% intended). Our main guest has already performed at Edelweiss but during the short period where he went back to Chicago, this producer has become a recognizable talent in contemporary electronic music. m50 aka Area has been releasing high quality dub- and ambient-influenced House on labels such as Wave, Steadfast, Mathematics or Echospace. This self-confessed studio maniac is also a very powerful DJ behind the decks, so get prepared to be blown away by his windy city savoir-faire. 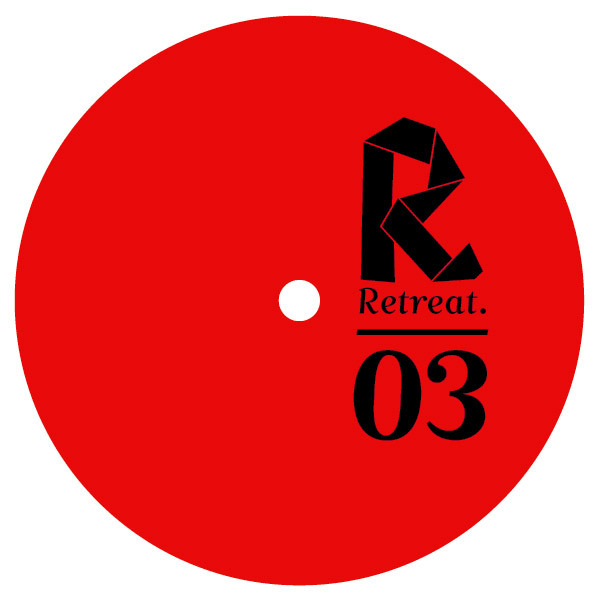 Holding down the Retreat fort, Hauke Freer is about to enjoy another round of praises, thanks to his upcoming EP on Retreat as Session Victim (with Matthias Reiling). As one of the only producers who not only watches but actually also plays soccer (at least once a week), Retreat’s co-captain knows a thing or two about strategy and building a good team spirit in order to get everybody in the groove. A 40 minute DJ set will be aired during the oceanclub radio show hosted by Gudrun Gut and Thomas Fehlmann between 1-5 am. You’ll need to find a pretty good excuse not to come to the october edition of our residency in Edelweiss: first of all, the party will celebrate the release of the mindblowing “Barrio Payment” EP from Hunee, a new artist on Retreat. Fresh from an acclaimed gig at Panorama Bar, this true music-lover will delight us with his selection of House, Disco and Boogie. 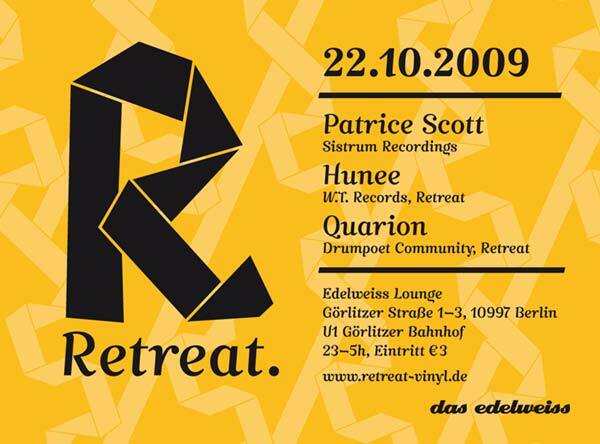 Then we’re also honoured to have Patrice Scott playing a special old-school set for the party. Via his Sistrum imprint, the Detroit native has been releasing some of the deepest house cuts around, making him one of the most respected producers in the scene and a very in-demand DJ. Finally, getting you warmed up for these sonic delicacies will be Quarion, without a doubt one of the true masters in the art of getting a party started. Unmissable! Just in time to conclude a bittersweet summer (at least in Berlin), Retreat brings the heat with a soulful EP from one of his founders, hotshot producer Quarion.